I love the spring season! The skies are clear, flowers are blooming, and the days are longer. I look forward to spring and summer, mostly because we love to entertain our family and friends at our home. On any given weekend night, we have two or three couples with their kids over for a barbecue or swim party. 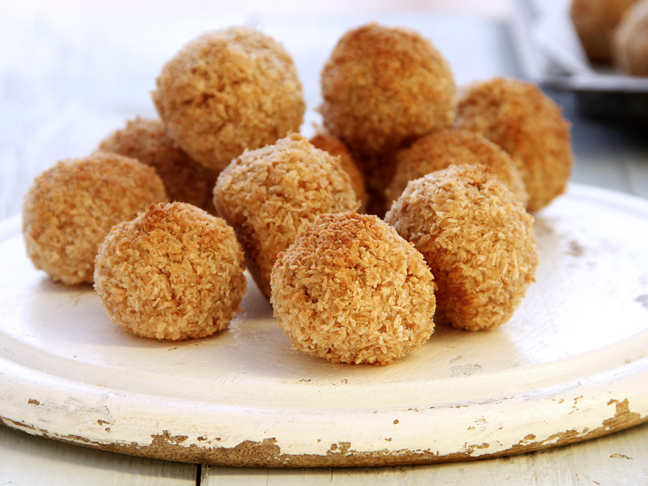 Sun, food, and drinks just seem to bring people together and create memories that I know my kids will always cherish. I love that our children seem to have inherited that same love of entertaining too! They usually will be the ones to suggest a spur-of-the-moment get-together with our neighbors and friends. As much as I enjoy entertaining, sometimes my house looks like a bomb went off! I can tend to hesitate on having company over because of the condition of the house, but am always reminded that life is too short. Visiting with friends and family is just too important (and fun) to let a little unkemptness spoil a meaningful evening. Over the years, and with a lot of trial and error, I have developed a quick and simple method to get my house presentable for company. It only takes about fifteen minutes, so it’s virtually stress free and allows me to enjoy our guests and time together. Usually, your entertaining is concentrated in a specific area of the house. Focus on this space only. For us, it’s our family room and kitchen. Gather all papers, toys, shoes, etc. from the floors and counters. Don’t worry about returning those items to their appropriate spots. Take them to a room you know will not be used—for us, it is our master bedroom—and put everything in a neat pile. Arrange and fluff all the pillows on the couch and chairs. Trust me. A fluffed pillow does wonders for a room. If you happen to have dirty dishes in your sink and no time to do them, no problem! Dump out all standing water in cups and pans. Neatly arrange dishes in the sink, stacking plates and pots and keeping cups and glasses together. 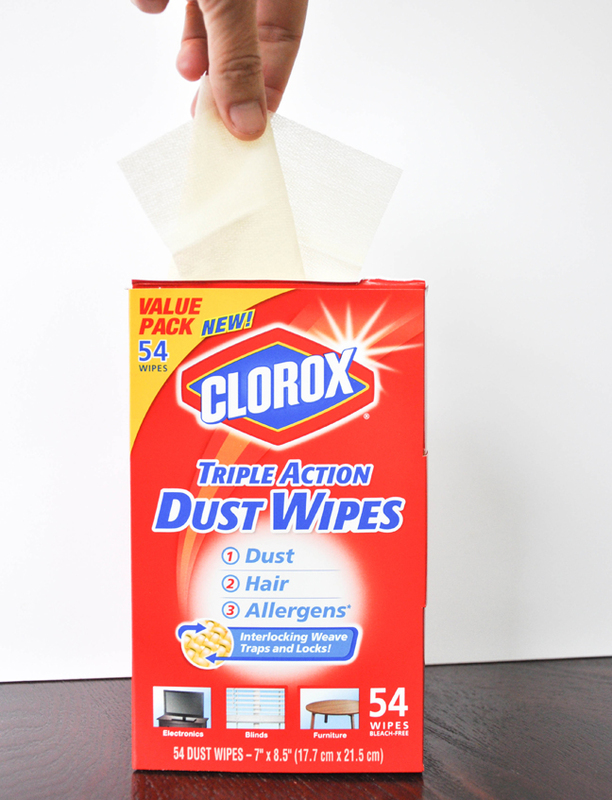 I love these Clorox® Triple Action Dust Wipes! They are much easier than using a soft dry cloth because they trap all the dust and pet hair to the cloth as opposed to just pushing it along. I don’t have to worry about dust and hair falling from the counters and tables, because the particles stick to the wipe. I usually only have to use a single wipe to get my entire room dusted. We have two cats, and their hair can tend to build up on the couch and chairs. 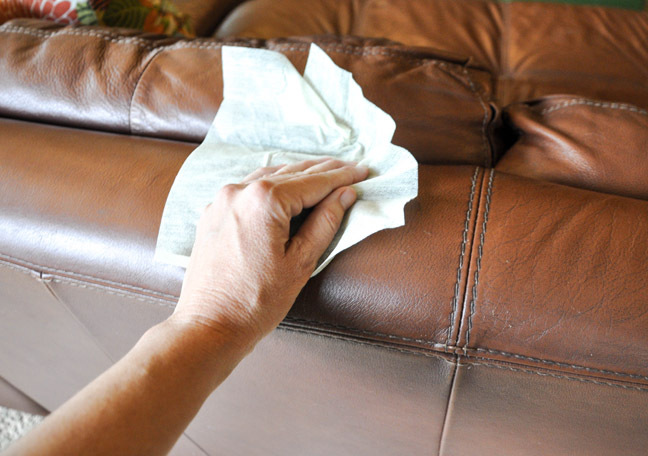 I quickly run the wipe along the back of the leather couch, and all the hair is picked up! It’s quick—there isn’t a need for several passes, and because the wipe traps the hair into its interlocking weave, I don’t have to worry about the hair floating back up into the air. I’m a firm believer in a large dust mop, especially if you have a tile or wood floor. 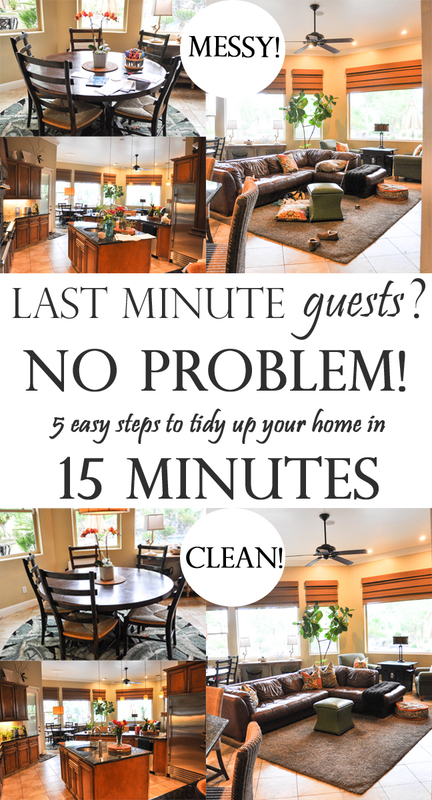 Don’t worry about mopping, just run a dry broom through the specific area to pick up any noticeable debris and call it a day. Inevitably someone will need to use the restroom. Choose the most accessible bathroom, and clear the counters of anything that isn’t essential. Using another Clorox® Triple Action Dust Wipe, wipe down the counters and fixtures. I also use it on the mirror! Because you don’t have to worry about using a spray, which then entails more steps to get the mirror dry, I just use the dry wipe to freshen the mirror and remove any noticeable spots. The wipe doesn’t leave any lint behind either, so mirror cleaning is frustration-free!